Ideal for year-round layering, our pullover is a true performance piece for running, yoga or just hanging out. 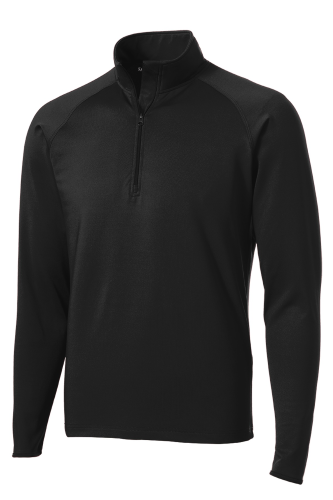 Extra stretchy, this pullover has a soft-brushed backing and features Sport-Wick moisture-wicking technology for comfort. A 1/2 zip complete with chin guard lets you control the ventilation. | 6.8-ounce, 90/10 poly/spandex Chin guard eliminates skin irritation Cadet collar Raglan sleeves Open cuffs and hem * Due to the nature of 100% polyester performance fabrics, special care must be taken throughout the screen printing process.